BusTalk :: View topic - EAGLE Model 10 "off road" version! EAGLE Model 10 "off road" version! Posted: Sat Sep 24, 2016 10:17 pm Post subject: EAGLE Model 10 "off road" version! Alright folks! Here's one that probably defies description. Without doubt, it started out as an ordinary over the road Eagle bus. The only logical explanation that I could think of is that the bus was bought by a ski resort and converted to an avalanche patrol vehicle. Note the roof cannon probably used to trigger a controlled avalanche. We're not sure if the interior used for storage, equipment, transporting personnel or a little of each! I wonder if it's still had its torsilastic suspension? I didn't see a license plate on the front of the vehicle, so its probably for use on private property only. Wonder what the bus and then the conversion cost? What kind of maintenance is done on the vehicle and where would it be done. Bet Jay Leno would love to drive it ! 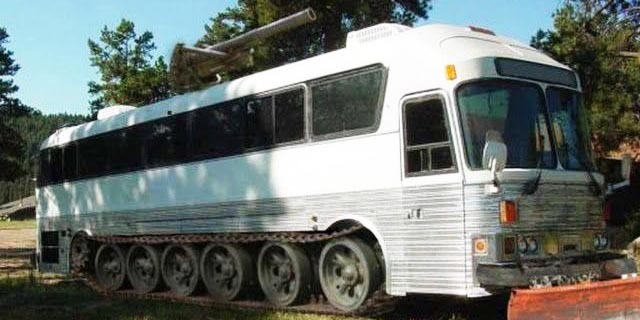 I would think that they mated the bus shell with the drivetrain and engine assembly of an army tank. 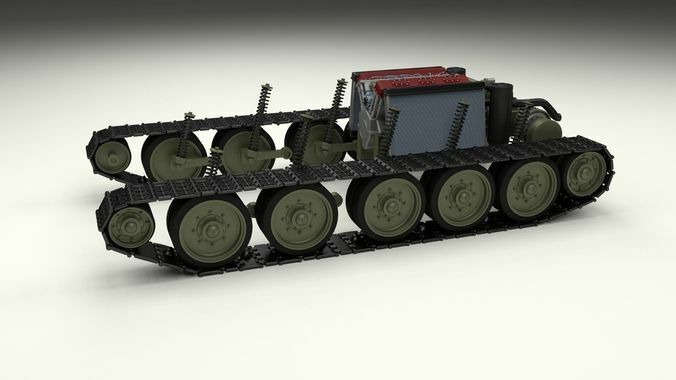 The originally bus engine was probably taken out - I don't think there was a way for the bus to use it and somehow connect a drivetrain to the tank transmission to run it. I would love to drive it too! The bus used in "The Gauntlet" was a 1962 Kässbohrer Eagle Model 01 according to IMDB.